Seattle is known for many things. Depending on who you ask, you’ll hear things like rain, Amazon, and coffee. One descriptor you won’t hear from the masses, however, is mountain bike destination. Given a recent explosion in local trail building efforts and the ongoing hard work of local trail stewards, the Emerald City stacks up quite nicely against other mountain bike hubs around the country. While you still do have to do some driving to access Seattle’s mountain bike trails, there are a growing number of options that are within about an hour's drive from the city. Tiger Mountain is a favorite for many, and it is one of the most popular trail systems in the area. The climb from the parking lot to the summit is about at 2,200 feet, making full laps plenty long (about 10 miles) and a rockin’ good time. 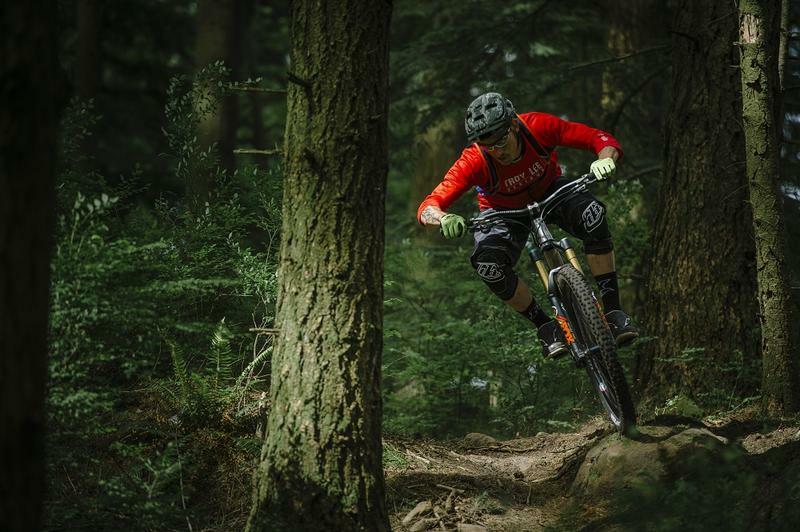 And there are a handful of downhill options ranging from beginner to expert. More trail development is on the way, too, adding more advanced downhill options. Tokul is another local favorite. This area has a bounty of short and steep trails twisting through the forest. It's operated in partnership with a private logging company and is just one of many awesome trail partnership in the Seattle area. Tokul is great for rides after work, and its low elevation makes it rideable in winters when other trails are buried in snowfall. A handful of new trails opened up throughout the summer of 2017, bringing more world-class singletrack to Seattle. Adjacent to Tiger Mountain, the new Raging River trail system promises to be some of the best riding in the state. With big-time mileage and a growing assortment of trail options, this is certainly a “destination” trail that makes a trip to Seattle worth it. After riding Raging River, one evo employee remarked, “it’s like you ride 7 miles into the forest and discover a machine-built jump line.” No you haven’t died and gone to heaven...that’s just how awesome the trails are here. The Ollalie Trail or the railroad-grade John Wayne Trail is another great new piece of singletrack, too. It’s a nice option because it is fun for riders of all ability levels. Beginners will enjoy the smooth trail, while advanced riders will love the speed and picking out side-hit jumps. Taken together, these trails, as well as the many others in the region, add up to give mountain bikers hundreds of miles of singletrack to explore, all within a short drive from the city center. Add on other trails that are somewhat close, like those in Bellingham, the 410 Trails near Mount Rainier, and in the Methow Valley, and you have a killer mountain biking road trip. Given that most all of these trails require pedaling up to access the downhill, we recommend all-mountain and trail mountain bikes for the area. If you live in Seattle or are visiting the area, don’t forget to check out evo Seattle. Our flagship store offers an unmatched product selection and expertise in mountain biking gear and mountain bike service. Bring your bike by for anything from a tune-up to a full-on rebuild, and our knowledgeable staff will get you back on the trails ASAP. We are evo - a ski, snowboard, mountain bike, surf, wake, and skate retailer based in Seattle, Washington, USA, with stores located in Seattle, Portland, and Denver. We also offer trips to remote locations across the globe in search of world-class powder turns, epic waves, and legendary mountain biking through our evoTrip Adventure Travel Trips. evo explores the collaboration between culture and sport by seamlessly joining art, music, streetwear, skateboarding, snowboarding, skiing, mountain biking and wakeboarding. Our aim is to bring all things relevant to the urban, action sports lifestyle into one creative space. Whether it is on the website, on the phone or in our stores, our aim is to make all who come into contact with evo feel welcome and excited about their experience.